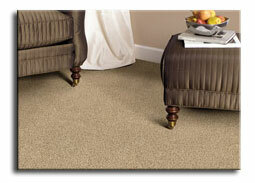 Soft-feeling, hard-wearing CARPET for family areas and the bedroom. 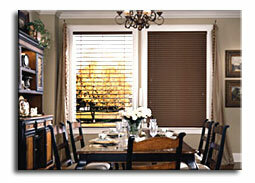 WOOD in the dining room or master suite. 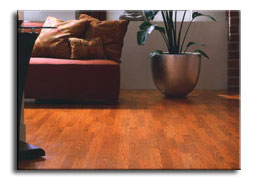 LAMINATE in high traffic areas like a family room or play room. 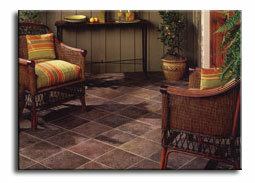 CERAMIC tile for the bath, kitchen, entry ways, every living space. Don't forget the walls and countertops! AREA RUGS an integral part of the new layered look. Use My Mohawk Roommate to find a match for your needs. 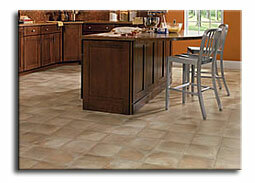 The newest flooring type. Low maintenance and high wear characteristics. Rapidly expanding selection of wood, stone, and ceramic, patterns. Custom installations now possible. Impact, dent, wear and fade resistant. New sound, step and noise protection. The return of what used to be called vinyl is based largely on superior designs, textures, high-fashion looks and durability. Capable of installation over many existing surfaces. ï¿½Forgivingï¿½ on uneven floors. Mohawk cushion is specifically designed to maximize and extend your carpetï¿½s plush feel and high performance. Cushion helps your carpet feel richer and more luxurious; it also improves your carpetï¿½s acoustical and insulating properties making the room quieter and warmer.